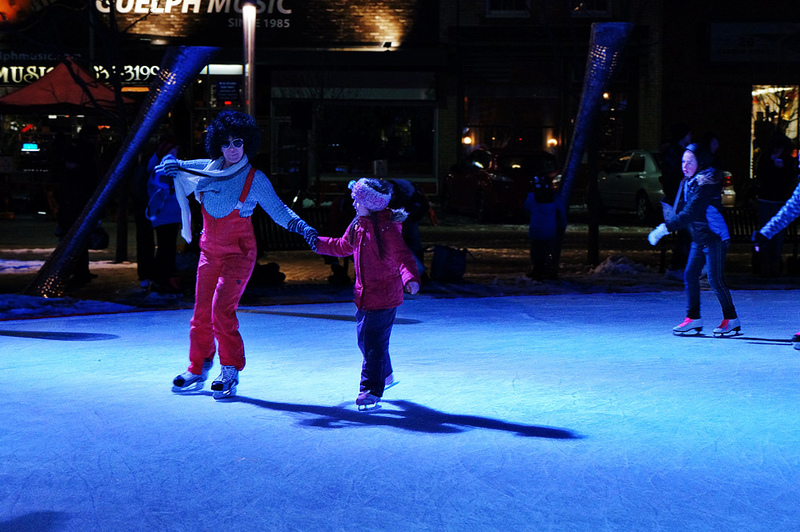 Get away from those winter blues by checking out the fun activities planned for this month! Happy Holidays! Wind down after the frantic last minute shopping of the past few days by visiting local artists and merchants in the Downtown area! October is here and with it comes the cold! With Halloween and Fourth Fridays coming soon, make sure to bundle up and enjoy the culture! 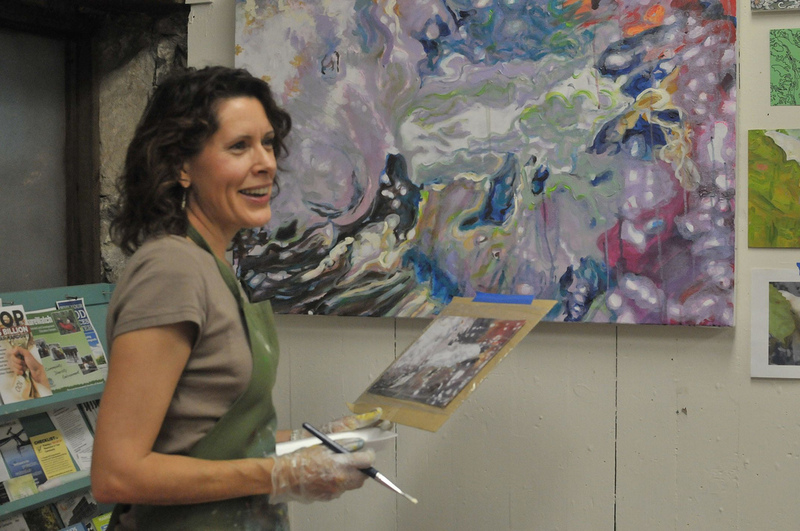 Schmoozefest: Where arts and artists meet! Mix, mingle, and SCHMOOZE with Guelph Arts Council! Come for an evening of networking, arts, culture, and schmoozing! Got something to say? Sign up at the event for a two minute spotlight. 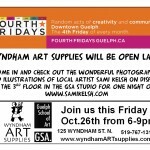 @ Wyndham Art Supplies and Guelph School of Art (125 Wyndham Street North): Will be open late, 6-9pm. Come in and check out the wonderful photography and illustrations of local artist Sami Kelsh on display on the 3rd floor for one night only! 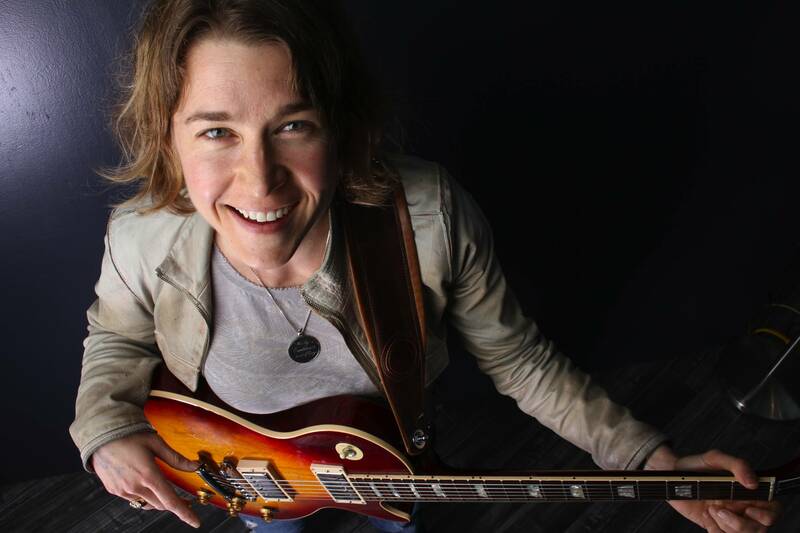 Join us between 7 and 9:30 for the musical stylings of The Boo Radley Project, an alt rock/funk group based in Guelph and Elora who may or may not feature glockenspiels as the centre of their songs. Fusing African sounds with North American hip hop, they throw in a little polka accordion and a musical sensation is born. 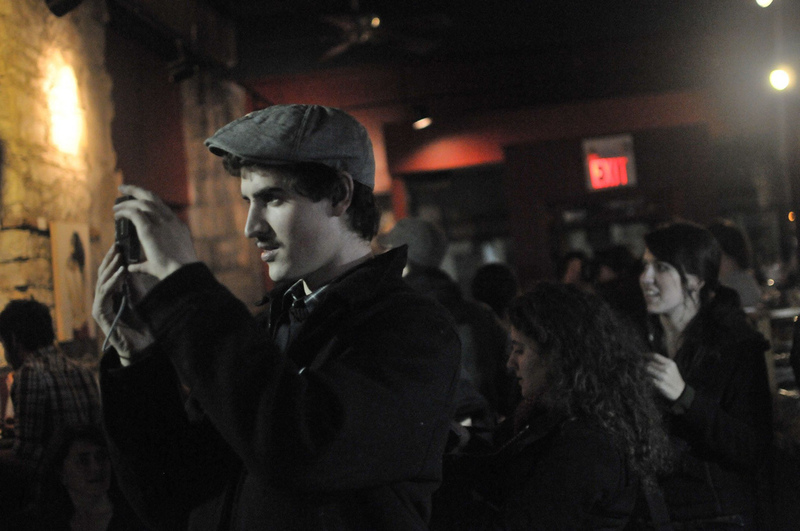 Rob O’Flanagan and Valerie Senyk are both accomplished spoken word performers. Join them from 7:30- 9pm. Museum open 5- 9pm, free admission. 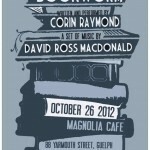 Bookworm by Corin Raymond with musical guest David Ross Macdonald. A story of a father reading to his son, growing up in a library, plus Spiderman, Ray Bradbury, and meeting the Minotaur for the first time just outside Wawa. Storytelling that has comedy, drama, plenty of beauty and life-inspiration, and a climax no one could possibly predict, all wrapped into an hour. $20 in advance, $25 at the door. Show starts at 8, no later admission. Show of recent work and printmaking demonstrations throughout the evening. 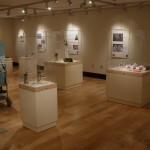 An exhibition of Grayce Perry’s work as well as work by 14 other artists. 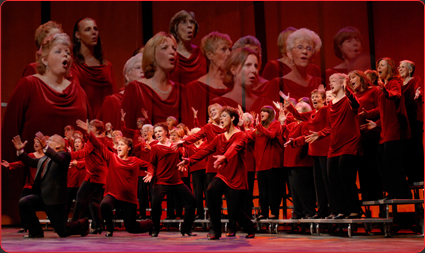 The Over Tones, Inc. is a group of women dedicated to the performance, promotion and preservation of four part A Cappella harmony in the barbershop style. Come to learn, participate and/or observe. Free (donations to cover costs will be gratefully accepted). FOYF will be offering new adult improvisation classes on Thursdays from 6:30-7:30. Ask us for information at the jam! 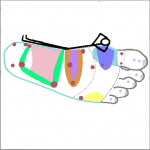 Shannon Holmes, Reflexologist and Relaxologist. Ever wondered what reflexology is like? Just want a “top up” treatment? Drop in between 7-10pm and receive a 10 minute stress relief, neck and shoulder tension relief and immune booster reflexology treatment. Pay what you can. A one-day exhibit of art inspired by Guelph’s Petrie Building, in celebration of its 130th Anniversary. Including photographs and video of the upper Petrie rooms by very kind permission of the Agelakos family, and other depictions of the building by local artists in a variety of mediums. Gallery Cubano as well as an array of local musicians. arrangements show a deep involvement with the history of jazz and a willingness to flirt with pop gestures and attitudes. @ Flying Dance Company (16 Wyndham Street North, Guelph; 3rd floor): Stop on by the Flying Dance Company to take a Merengue lesson (suggested donation $5), from 7-8pm. Do you want to do Yarn Bombing or to Paint Yourself Silly? Come Downtown for another awesome, fun filled Fourth Fridays event. A great way to connect with friends after being away for summer holidays, fun for everyone will be had! The Fourth Friday in June is a great time to get out and enjoy the evening in the downtown core. There are some things getting started earlier in the day and others moving further into the evening, but guaranteed, there will be something for everyone! 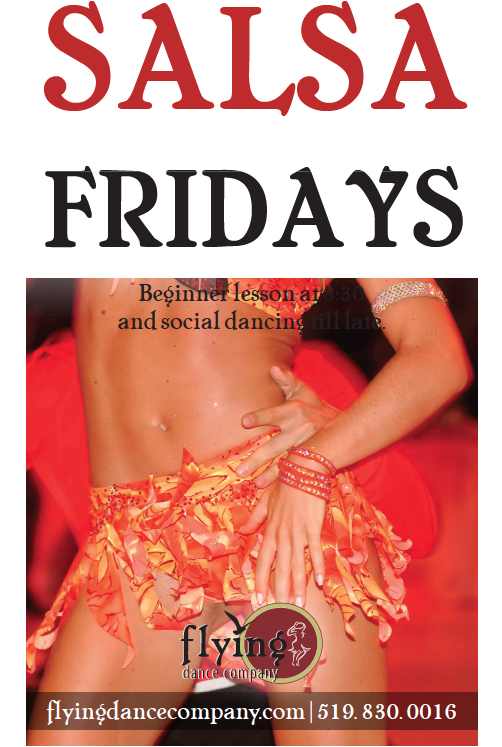 May is already here and we’re excited about the fabulous energy already starting around this month’s Fourth Friday. Come out on the town between 7pm and 10pm for everything from a concert to seeing works of art hidden around a store! Spring is in the air and we can’t wait to get out an enjoy the weather, community and arts that are budding in downtown Guelph! OVC is proud to celebrate its 150th anniversary with a special exhibit at the Guelph Civic Museum. 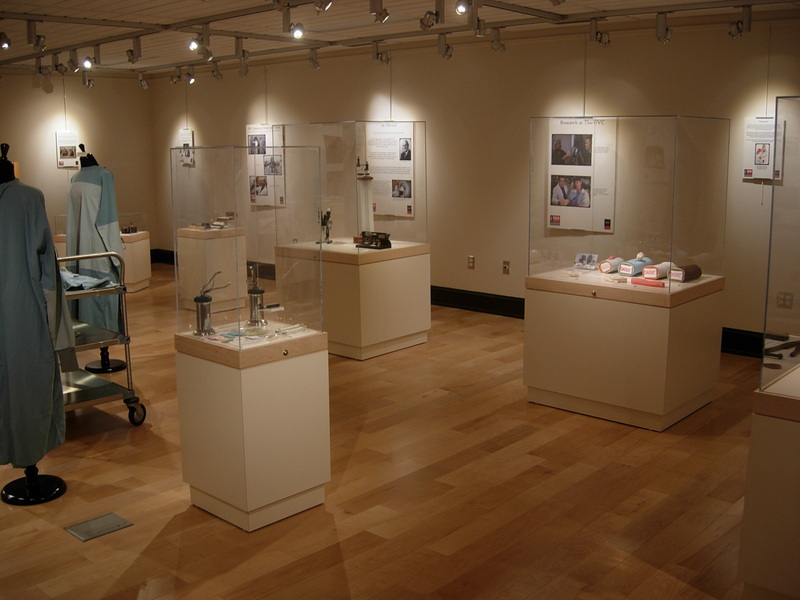 As the oldest veterinary school in Canada and the United States and a world leader in veterinary health care and research, the history of the college is explored through images and artifacts from the OVC’s collection. 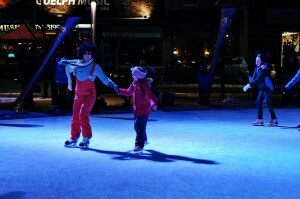 @ Downtown: On the streets of downtown will be acts of live theatre! Students from the University of Guelph 2012 Ensemble Class will be around to greet you with flyers and entertain you with snippets from our theatre festival. 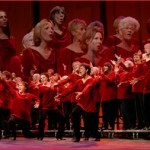 The festival itself is happening March 29-31 and its admission is pay what you can! Come out, be entertained, and learn more about Guelph EXPOsure, a festival of theatre! We hope to see you THIS Friday, or/and at our theatre festival happening NEXT WEEK. Search Guelph EXPOsure on Facebook for more details! 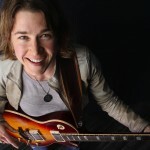 Come in and hear the sweet sounds of Amber Carr as she plays acoustic guitar. Stop on by to see the found art masterpieces of Eric Montgomery tucked in and around all of the exciting kitchen supplies! 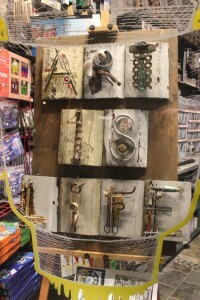 @ The Quebec Street Mall: Monika Hauck will be exhibiting her interactive sculptural installation “Take What You Can” in the Quebec Street Mall. “Take What You Can” is an installation of objects and things that belonged to Hauck’s Grandmother, collected over the course of her life. In 2011, Hauck’s grandmother moved back to Poland, leaving behind numerous items. These items were abandoned by Hauck’s grandmother, but still held strong sentiments for other family members. However knowing that Hauck’s grandmother had moved on without them, their value changed. 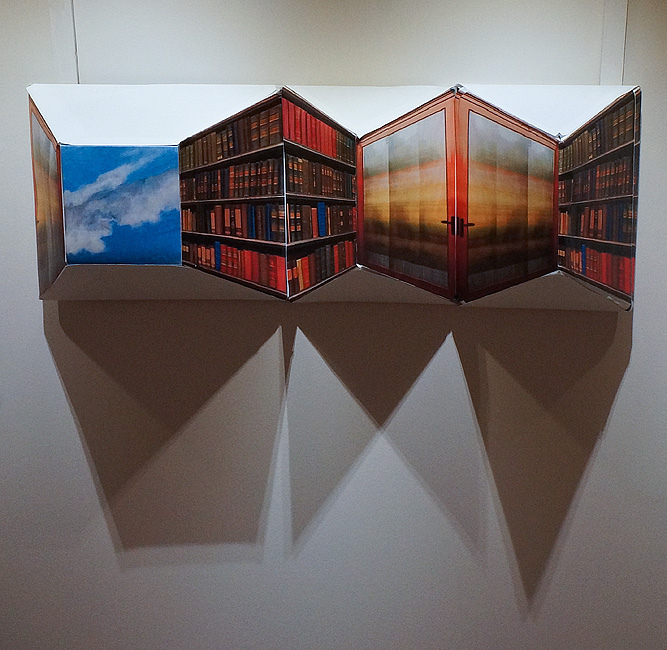 With these objects on display the viewer can gain new meaning about these objects. Not knowing their origin or roots, the participant can piece together a narrative of someone”s life. In this exhibition, participants are invited to rummage and leaf through a stranger”s objects, objects that may have defined their life or served some crucial purpose. This exhibition is openly evasive and indulgent in curiosities not usually acceptable, it is a treasure hunt through someone”s life and objects. Hauck’s grandmother took what she could to Poland, and now, the participants in this interactive installation are invited to take with them anything that might be of significance to them. Seriously, take everything you can. @ Wyndham Art Supplies (125 Wyndham Street North, Guelph: in store): There will be some funky airbrushing happening! Come on out and get your very own temporary airbrush body art! @ Diana Downtown (141 Wyndham Street North, Guelph): Come see the multiple pieces by Terry Gollettz: lovely imaginative and interpretive paintings. They will be on display until late May. What are you doing on Friday February 24? Well, the weather can’t decide if it is spring yet or not, and surely we”ll have more winter on the way! 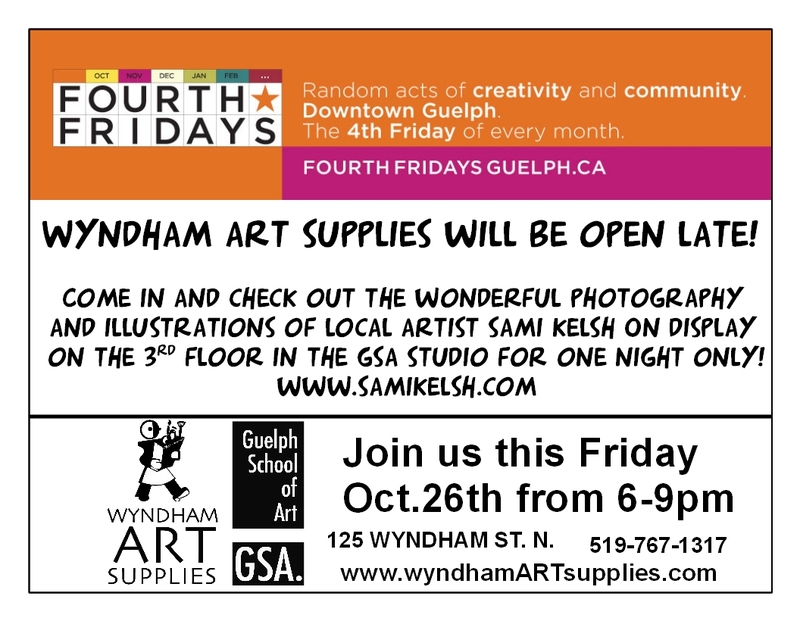 Keep your spirits up throughout it all by coming down to yet another exciting Fourth Fridays event on February 24th from 7pm – 10pm in downtown Guelph! 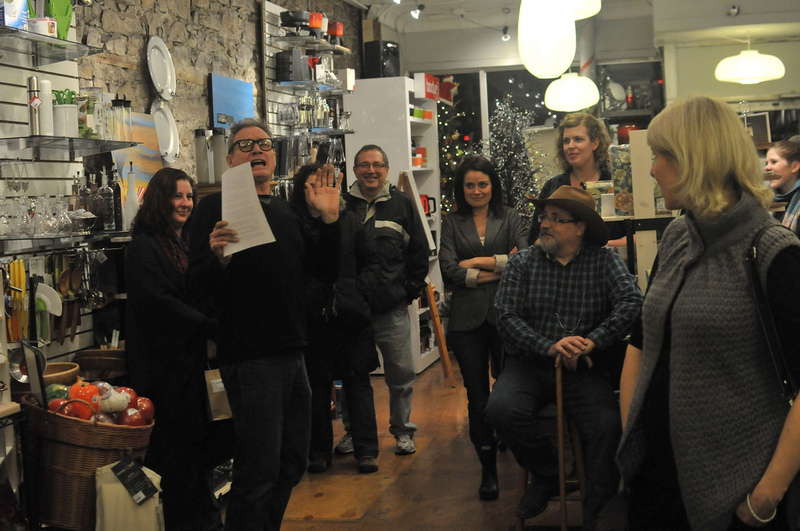 See photos from previous Fourth Fridays events here. Here are the November 25th Fourth Friday’s events! When is the next Fourth Friday’s event? As with any new thing in the city of Guelph, the energy for our lil’ old event series is building! We had a great launch event last month on Friday, October 28th (thanks to all those that turned up) and we’re already building towards the November’s events (held on Friday, November, 25th).